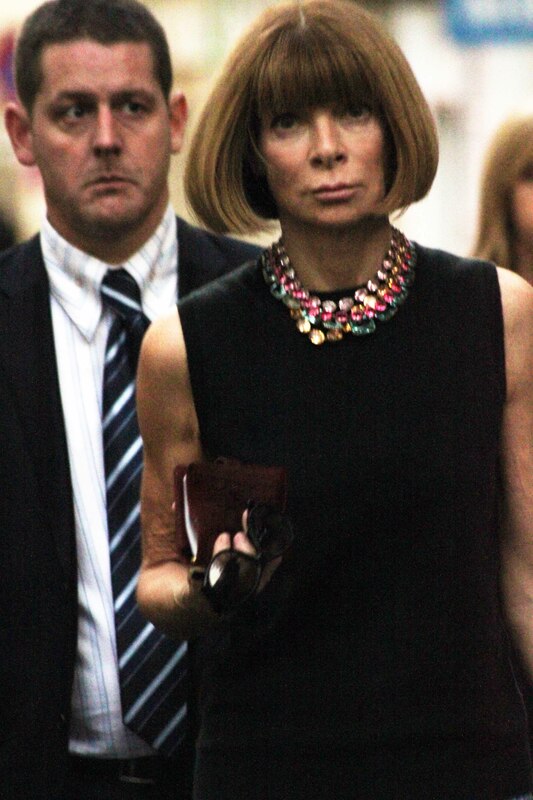 It seems today was a real day to capture pure fashion week moments, here you have the arrival of Anna Wintour to the Yves Saint Laurent SS 2012 show. With one body guard in front and other in the back, she walks decisively towards the entrance a little like Karl Lagerdelf, her face expression never changes, even when paparazzis shout at her, but the guy that does have an expression is the bodyguard on the back, I just wonder what his thinking? Will the collection be good? What do you think?